The East End subdivision signaled the dawn of suburban spread in Nashville. By 1890, the streaks of a new dawn were breaking across the built environments of major US cities, lighting the way to expanding suburban horizons. The conversion of the public transit system to electricity enabled lines to spread further from city centers. Cheap land prices and easy access to the business district sparked rapid migration to Nashville’s outskirts and fueled the development of middle class neighborhoods in lots previously only affordable to the rich. 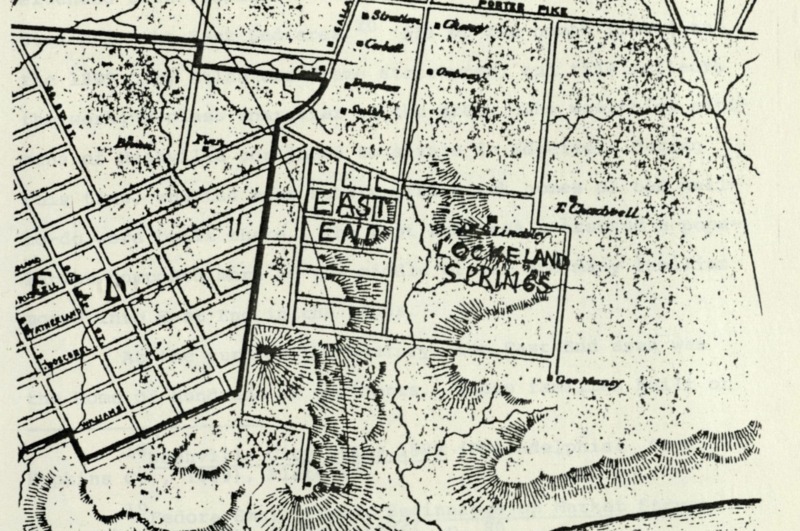 East Nashville was no longer an enclave of the elite when The East Edgefield Land Company haphazardly plotted a grid and stitched it to Edgefield. Completely dependent on the electric streetcar lines linking East Nashville to the central business district across the river, East End exemplifies many of the key characteristics of early middle class American suburbs such as: the concentration of the easy-to-build, cost-saving Balloon-frame houses and stylistic local variations on the architectural styles popular among the middle class between about 1880 and 1945 like the California Bungalow and other American Craftsman style homes. The era of Streetcar Suburbs marks the beginning of the stereotypical uniform, homogeneous community. With electric railway lines extending down Woodland Street, Shelby Avenue, and Fatherland Street, the East End area at the turn of the century was the home of hundreds of residents. It was the first of many subdivisions to come. Increased industrialization depressed rural economy precipitated the exodus of rural Americans to urban centers. This surge in urban migration lead to overcrowding of cities restless consternation from those with the need and funds for more green space and a respite from urban pollution. 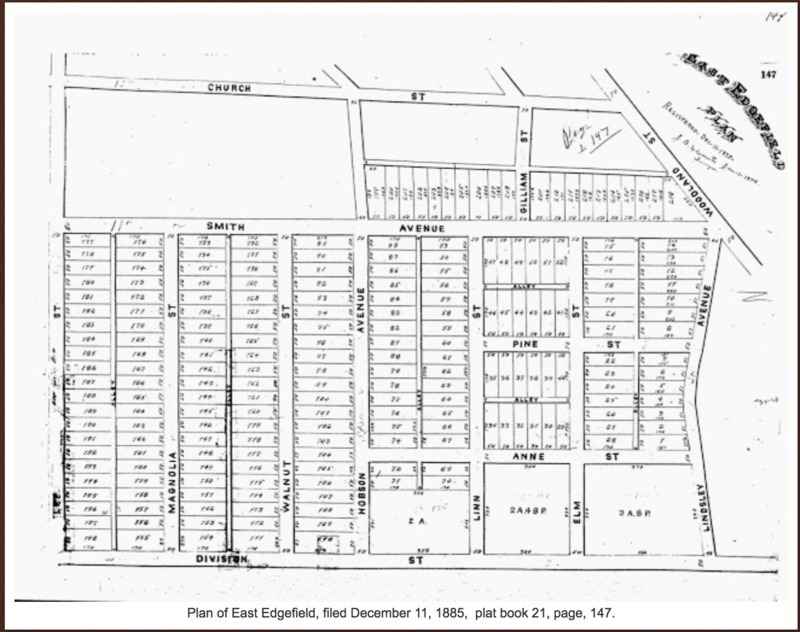 Comparing the lots and homes of Edgefield to East End tells the bigger story of how industrialization and technological innovation caused shifts in suburbanization. 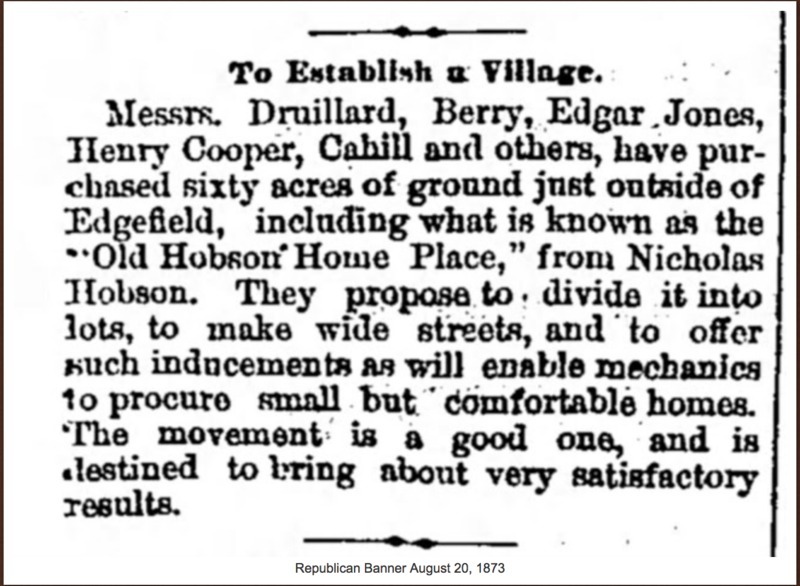 The wealthier citizens of Nashville continued to settle in Edgefield during this time, and the more substantial brick homes of the well-to-do were built-there while East End attracted a population composed more of the middle class. Analyzing these shifts also reveals the troubling relationship between privilege and of social and economic upward mobility. Michael Suhr, “East End,” Bygone Nashville, accessed April 25, 2019, https://bygone-nashville.mtsu.edu/items/show/50. Jackson, Kenneth T. Crabgrass Frontier: The Suburbanization of America. New York: Oxford University Press, 1985. Cox, Debbie. "East Edgefield and Spring Park." Nashville History(blog), September 1, 2016. Accessed October 30, 2018. http://nashvillehistory.blogspot.com/2016/09/east-edgefield-and-spring-park.html. Riley, Mark B. "Edgefield: A Study of an Early Nashville Suburb." Tennessee Historical Quarterly 37, no. 2 (1978): 133-54. http://www.jstor.org/stable/42628319. Thomason, Philip J.M. "A Preservation Study of the East End and Lockeland Springs Neighborhoods of Nashville, Tennessee." Master's thesis, Middle Tennessee State University, 1981. Published on Dec 6, 2018. Last updated on Dec 11, 2018.